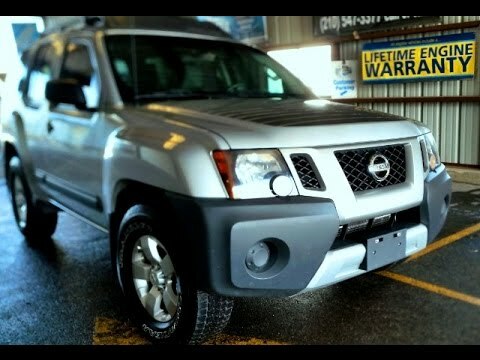 The 2013 Nissan Xterra is an SUV built to go where fewer modern SUVs tread: Off road. While more sport utility vehicles focus on refined road manners and creature comforts, the Xterra makes no apologies for its utilitarian, adventure-minded character. It doesn't sip gas or have heated seats, but the Xterra is livable on highways and happier still in the muck. I love my Nissan xterra pro4x. It has been 100% reliable and no mechanical issues thus far which is great considering I have driven across country 4 times. It is a smooth, comfortable ride with plenty of interior room. The only downside to this vehicle for me is that the gas mileage is not great, about 15-17 miles per gallon. Other than that, the vehicle has decent get up and go, a nice stereo and I love the gsp system. A true SUV when all the others have been turned into crossovers. Safest car I have ever had. This car has been remarkable. I have had no issues with it in 4 years. It has been hit 3 times from the back and has held up to keep my family safe. The only replacements have been for new back bumpers and a new tires. Otherwise, it is easy to clean, maintenance and travel with. We often take it to the mountains and it feels really safe driving in snow, ice, hail and rain. I haven't felt safer in any other car I have had. With regular maintenance, this car will run for many years! I have never had a problem with its reliability. After this many years, my radio, ac and every other feature still works just as well as the day I drove it off the lot. This car is great for kids, dogs, camping and day to day commute or errands. I bought this knowing this car would be the one I would keep as long as it would run.